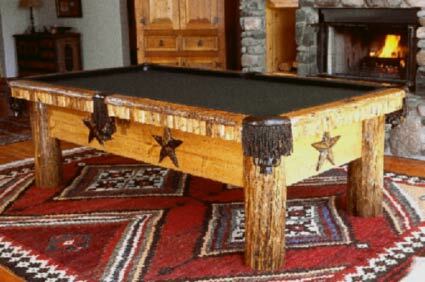 Our Rustic Pool Tables are 100% Custom Creations Unique unto themselves. 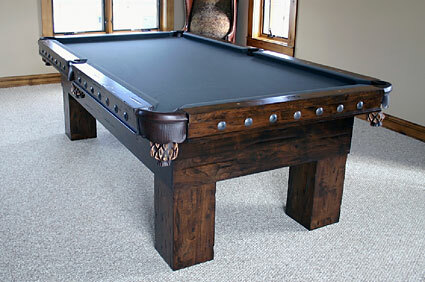 Talk to our in house pool table expert and Create your Own Custom Rustic Pool Table! 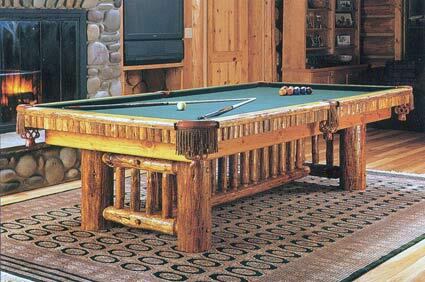 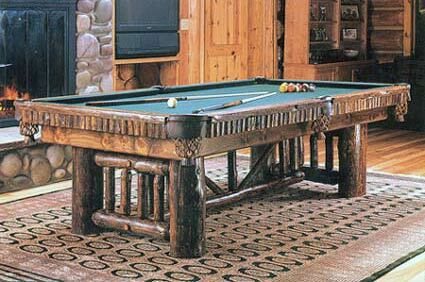 The Ponderosa Pool Table is an one of kind rustic pool table. 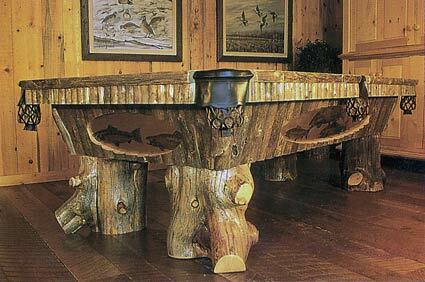 Hand made by drawknife, an age old process of drawing a sharp two handled blade towards the craftsman as they sit or stand against the log. 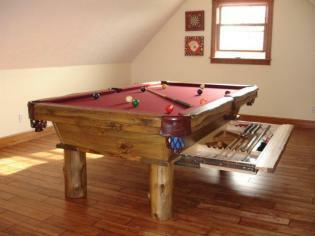 This is the same process which has created countless cabins across the the plains and great west. 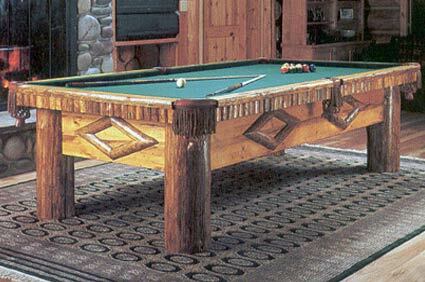 These tables are fully handcrafted and each is unique. 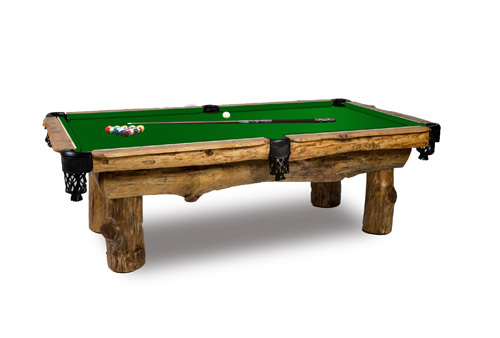 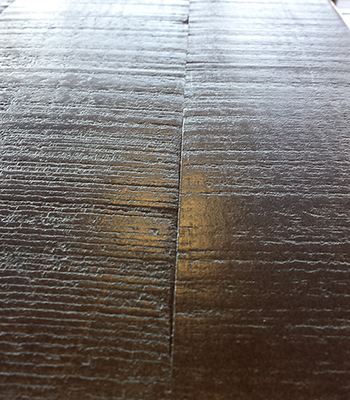 The Ponderosa comes in three finishes, light, medium and dark. 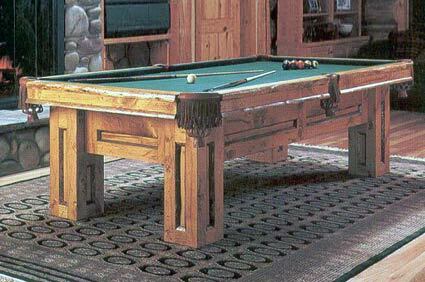 Each table is unique and different. 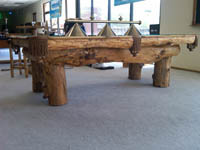 Shaped by the logs natural shape. 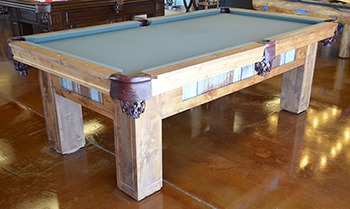 Call our pool table experts at 480-792-1115 and get fitted to the perfect table. 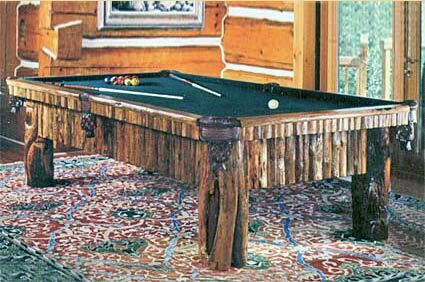 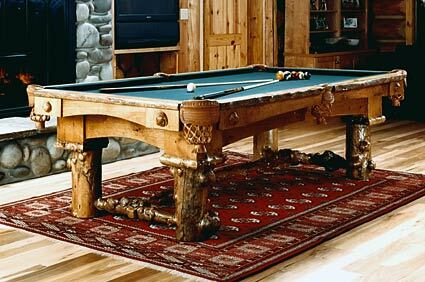 We Offer Hand built Custom Rustic Pool Tables Made to your Specifications. 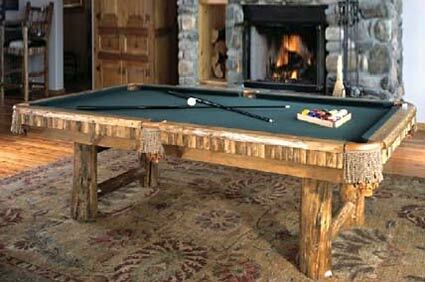 The Alpine Madison pool table is a one-of-a-kind-rustic beauty.